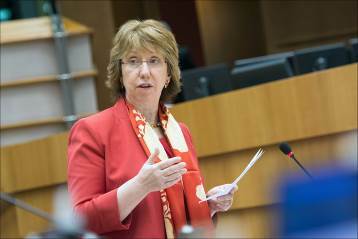 Cathy Ashton (The Rt Hon. The Baroness Ashton of Upholland GCMG PC) has been appointed as our Chancellor from January 2017. After many years’ experience embracing the public, private and NGO sectors (including roles at the Social Work Training Council and Business in the Community) she was appointed to the House of Lords in 1999. The ministerial career that followed saw her first take up a role in the then Department of Education in 2001, where she served as Minister with responsibilities for all education to age 11 plus children with special educational needs, and as sole Minister in the House of Lords responsible for all education legislation. Lady Ashton joined the Department of Constitutional Affairs/Justice in 2004 as Minister with responsibilities for family courts, development of Supreme Court, human rights and equality legislation. From 2007-8 she served as Leader of the House of Lords and Lord President of the Queen’s Privy Council. During that time she took the Lisbon Treaty through the House of Lords. In 2008 Lady Ashton was appointed Trade Commissioner for the European Union. This led to her being appointed High Representative for Foreign Policy and First Vice President of the European Commission. Over the following five years, she tackled some of the world’s most difficult issues, operating at the very highest level. Her achievements over this period earned her widespread praise and a host of awards and honours from around the globe, including being nominated for the Nobel Peace Prize. Her many other awards and accolades include: Stonewall Politician of the Year [first ever] for services in support of the LGTB community 2006, Channel 4 Peer of the Year 2006, House Magazine Minister of the Year 2006. She received the award of GCMG (the highest foreign policy honour) at an investiture by Her Majesty the Queen in June 2015. Lady Ashton also holds honorary positions with a number of esteemed international bodies. The Chancellor is the formal Head of the University, whose official duties are to confer degrees on behalf of the University. Beyond the formal and representational duties, the new Chancellor will play a key role in the University’s life by promoting the work and ambitions of the University in the UK and overseas. The Chancellor will also play an important role in the development and fundraising activities of the University.